Nate’s Place Restaurant and Lounge at the Twin Mansions in Fort Scott, Kansas is a truly unique experience. As the name implies, Nate’s Place is inside a historic 1880’s era mansion. An identical mansion next door houses a bed and breakfast. This place is a hidden gem in southeast Kansas. 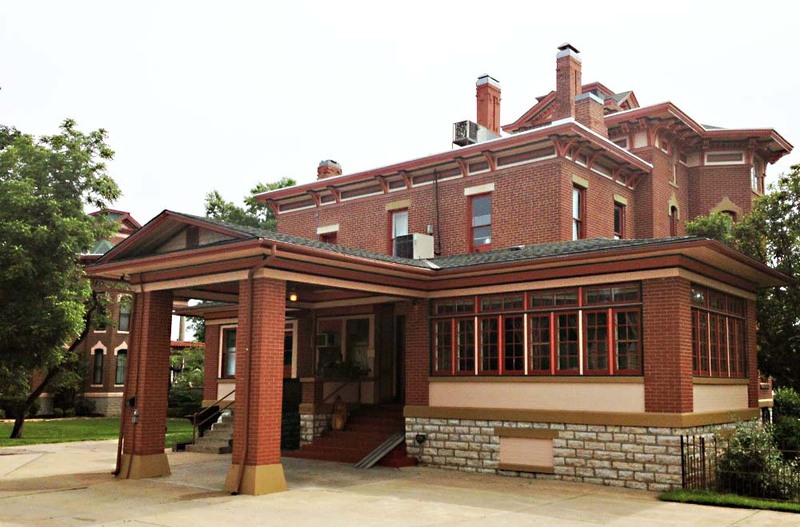 In fact, the waitress indicated that even though they have been open for about three years, not many locals realize that one of the two mansions houses a restaurant. I’m about to spill the beans here, because this place was fantastic! The wait for my order was a bit long but the food was well worth it. I had a deep fried pork chop smothered in homemade country gravy. Many times pork chops end up tasting dry and tough but not this one! It could have been one of the very best pork chops I have ever eaten. This dish came with a side of caramelized sweet potatoes, which were also very delicious! Nate’s Place is open for dine in or carry out Tuesday through Thursday from 9 am until 2 pm and from Saturday and Sunday from 8 am until 2 pm. Additionally. their lounge is open on Thursday and Friday nights from 5pm until 8 pm. Cocktails are served daily beginning at 9 am and outdoor dining and private dinner parties are also available. Guest of the bed and breakfast receive a complementary breakfast at Nate’s Place. Check out Nate’s Place. It’s one of my new favorites in southeast Kansas!